In this book, Harley Hahn demystifies Emacs for programmers, students, and everyday users. The first part of the book carefully creates a context for your work with Emacs. What exactly is Emacs? How does it relate to your personal need to work quickly and to solve problems? Hahn then explains the technical details you need to understand to work with your operating system, the various interfaces, and your file system. In the second part of the book, Hahn provides an authoritative guide to the fundamentals of thinking and creating within the Emacs environment. You start by learning how to install and use Emacs with Linux, BSD-based Unix, Mac OS X, or Microsoft Windows. 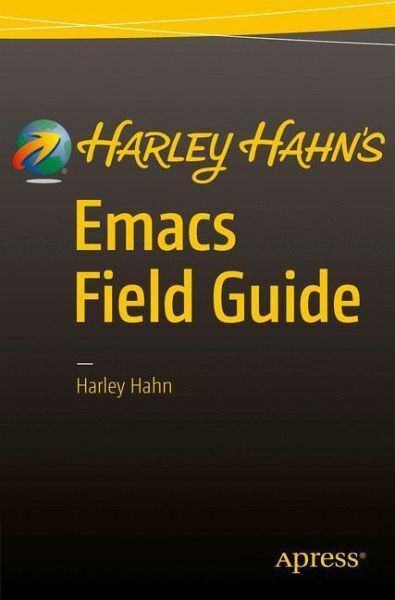 Written with Hahn's clear, comfortable, and engaging style, Harley Hahn's Emacs Field Guide will surprise you: an engaging book to enjoy now, a comprehensive reference to treasure for years to come. What You Will Learn Special Emacs keys Emacs commands Buffers and windows Cursor, point, and region Kill/delete, move/copy, correcting, spell checking, and filling Searching, including regular expressions Emacs major modes and minor modes Customizing using your .emacs file Built-in tools, including Dired Games and diversions Who This Book Is For Programmers, students, and everyday users, who want an engaging and authoritative introduction to the complex and powerful Emacs working environment. Harley Hahn is a writer, philosopher, humorist and computer expert. In all, he has written 30 books that have sold more than 2 million copies, making him the best-selling Internet author of all time. Harley Hahn's Internet Yellow Pages, published by McGraw-Hill annually for 10 years, was the first Internet book in history to sell more than 1 million copies. This book, along with two other of Harley's Internet books - Harley Hahn's Internet Insecurity and Harley Hahn's Internet Advisor - were nominated for a Pulitzer Prize. Hahn is also the author of a variety of Unix- and Linux-related book and textbooks, including the highly regarded Harley Hahn's Guide to Unix and Linux. 1. All About Emacs.- 2. Unix for Emacs Users.- 3. Installing Emacs.- 4. The Emacs Keyboard.- 5. Starting and Stopping Emacs.- 6. Commands, Buffers, Windows.- 7. The Text Editing Work Environment.- 8. The Cursor; Line Numbers; Point and Mark; The Region.- 9. Kill and Delete; Move and Copy; Correct Mistakes; Spelling; Fill.- 10. Search.- Appendix A. Personal Notes.- Appendix B. Command Summaries.